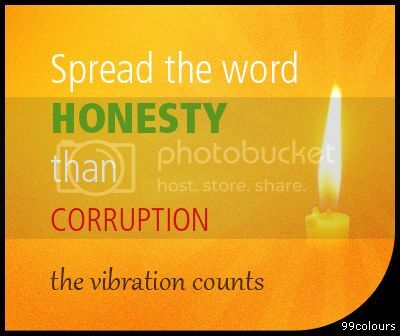 Which word makes you feel better- honesty or corruption? Which has more hope? Which has more positive vibes? What do you want? When honesty rules, corruption’s extinct. That’s the way it is. PS – Mother Teresa always preferred a peace rally than an anti-war one.